Our last post introduced our search for more information on Ted’s American Bantam plow. Over the past few weeks, we, along with a few Bantam, Newgren and Monroe experts have been searching for answers to our questions about where and when the plows were produced. 4/19/1950. The trustees found the activities of the Newgren Company, Bantam’s wholly owned subsidiary, which had been engaged unsuccessfully in the sale of agriculture equipment manufactured by Monroe, Bantam and others, practically ceased. Based on the above, we now know that Bantam was producing farm equipment, which most likely included plows, beginning in 1948. It would appear that Newgren sales efforts had ceased by early 1950. We would guess that Bantam replaced the Newgren tag sometime after mid-1950. But we have just scratched the surface of how this plow came to be. This has been a fun and rewarding undertaking. We want to thank Ted for sending us the photos of the plows. He uncovered an important (at least to some of us) piece of jeep history. We also wish to thank Clint Dixon, Lonnie Deweese, and Cathy for their help in getting the story this far. Many stories remain to be told about Monroe, Newgren and Bantam. It is our hope that this plow-find will kindle more research and published results. 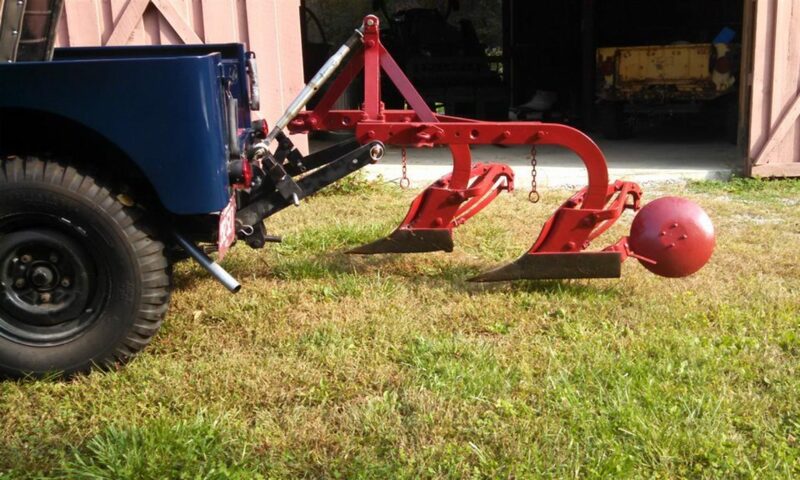 Previous PostPrevious American Bantam Plow – an unknown chapter in Newgren Equipment history?